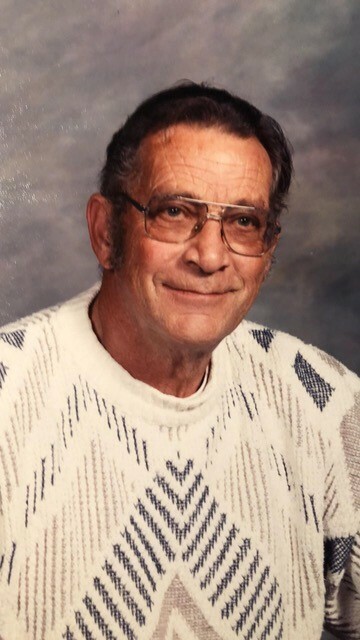 Harry Neale “Skip” Downs, 87, of Wolf Point died Sunday, Dec. 16, 2018, at Northeast Montana Health Services – Trinity Hospital in Wolf Point with family by his side. He was born March 31, 1931, in Hackensack, Minn., to Harry N. and Mamie (Wynn) Downs. Skip’s newspaper career spanned the days from hot type to desktop publishing. In total, he worked nearly 80 years in the newspaper business. He started when he was 10 years old, with a delivery route for the Minneapolis Star. He also worked for his father at the Aitkin Republican (Minn.), a weekly newspaper and printing business. He attended grade schools in Minnesota until 1945, when the family moved to Wolf Point where they purchased The Herald-News. The family later acquired The Searchlight (Culbertson) and The Poplar Standard. Harry graduated from Wolf Point High School in 1950. In December 1950, he enlisted in the U.S. Navy and served a four-year tour of duty, stationed in Japan and the Philippines. Following his honorable discharge, he returned to Wolf Point and worked for his father at The Herald-News in 1955. He married Ruth Ann Fredrickson Dec. 4, 1955, in Wolf Point. They had two daughters, Linda and Shelly, and later divorced. He married Ina Mae Thoma July 19, 1963, in Frazer. They had three daughters, Darla, Detta and Diana, and celebrated 55 years together this year. He moved to Sidney in 1964 and worked at the Sidney Herald, doing layout, working as a press operator and eventually becoming the commercial shop manager. Harry returned to Wolf Point in 1974 after the death of his father and became manager of The Herald-News, which was honored as the 1996 Montana Family Business of the Year. After the family sold the newspapers in 1999, he stayed on as publisher for new owners John and Jackie Stanislaw until he “semi-retired” in 2007. He continued making his weekly newsstand delivery rounds for The Herald-News until November 2017, when he suffered a debilitating stroke. He was a committed member of the Montana Newspaper Association board of directors from 1984 to 1991 and never missed a meeting. He was awarded the Master Editor/Publisher Award in 1994, an honor that he was able to see his daughter Darla also receive when he attended his 70th MNA convention in June 2018. He looked forward to the annual MNA convention each June as a time to reconnect with old friends. He was president of the Wolf Point Lions Club, served on the Montana Board of Printing and was also a member of the Wolf Point Jaycees, American Legion and Wolf Point Chamber of Commerce and Agriculture. Harry celebrated his 85th birthday with a surprise birthday party at the Wolf Point Elks Club with many family and friends in attendance. He was a devoted father and grandfather. When it was time to relax, he was found camping and fishing in North Dakota, Canada, Alaska and Fort Peck Lake. He enjoyed spending time with family and friends at the cabin at The Pines on Fort Peck Reservoir. He was an avid hunter every fall, hunting deer, antelope, elk, coyote and birds. He shot his last deer while hunting with his daughter Darla just days before his stroke. He also enjoyed traveling. Skip was a car buff and restored a 1976 Jeep CJ7 after a winter driving accident while out hunting with friends. Furry friends were numerous over the years and included Bailey Rose, the Corgi he adopted from his daughter Diana; Kiki, the stray cat who adopted him; dogs Chief and Sammy; and the many white-tailed deer who frequently visited him at The Pines cabin steps. He was preceded in death by his parents; a sister, Agnes Isle; nephew Rick Isle; one grandson; and one-great-grandson. He is survived by his wife, Ina Mae Downs of Wolf Point; five daughters, Linda (Pam) Patrick of Brainard, Minn., Shelly Hansen of Fargo, N.D., Darla Downs of Wolf Point, Detta Downs of Conroe, Texas, and Diana (Brian) Palmer of Oak Forest, Ill.; an adopted brother, Bob Downs of Hackinsack, Minn.; four granddaughters, Rebecca, Katelynn and Jessica Smith and Kassie Lutz; two grandsons, Delaine and Justin Lutz; one niece, Ruth Boysun, and many other family members. He will be deeply missed by his family and friends who loved him dearly. Cremation has taken place and no services are planned at this time. Clayton Stevenson Memorial Chapel assisted with the arrangements. In lieu of flowers, please direct memorials to Wolf Point Pound Puppies or a charity of your choice. I’ll miss Harry. Very kind gentleman. Enjoyed hunting with him several years back at Fort Peck. He knew the area very we’ll. Enjoyed many long conversations with Harry. Blessing to the family . My prayers are with you. Ina and family: Found memories of Harry come flooding back. My time working at The Herald News with him and his family back in ’62 got me started in my journalism career. My thoughts and prayers to all of you. Prayers for your lose. I have many memories of Skip. Skip I will always remember the hunts in the breaks and over in Saco. Some of my happiest days were spent with Dad and you. Deepest sympathy on your loss of father and grandfather. May the love and care of family and friends give you comfort and healing. You are lifted up in prayer. Downs family – Thank you for your service to WP. Sorry for your loss!